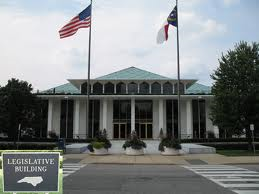 2016 Budget Sent To Governor McCrory. See The K-12 Highlights. The 2016 budget was finally hammered out and send to Governor McCrory on July 1st. Packed inside are significant funding increases for Education and some interesting tidbits. First, a look at the money. The focus here is on K-12 Education. Section 8.30 also instructs DPI to pay $50,000 to “the Office of Administrative Hearings to be allocated to the Rules Review Commission, created by G.S. 143B‑30.1, to pay for any litigation costs incurred in the defense of North Carolina State Board of Education v. The State of North Carolina and The Rules Review Commission,”. Teacher compensation is located under “PART VIII. PUBLIC SCHOOLS, SECTION 9.1.(a). An average 4.7% raise for teachers, has an experience-based step increase in it. Step increases range from 2.0% to 13.1%. (See increase dollar amounts in the chart to the right.) The highest percentage, 13.1% occurs for teachers with 15 years experience . This represents a $5,250 increase in pay, taking a teacher earning $45,250 to a salary of $50,000. The step increases represent $190,947,111 in recurring funds. Average 1.5% salary increase for school-based administrators. Translated to dollars that’s $8,443,728 in recurring funds. 0.5% nonrecurring ‘bonus’ for school-based administrators. Translated to dollars, that’s $1,610,575. $17,242,627 in ‘non-educator merit bonuses’. There is a one-time 1.6% cost-of-living adjustment for retirees. A comparison between last year’s budget and this one, as well as salary comparisons can be downloaded from DPI. Now for the interesting tidbits. Included in the budget a project where the Friday Institute will be ‘modernizing’ the Financial and Business Services Division of DPI. This is interesting given that the Attorney General is now investigating a case where a Charter school was closed yet DPI failed to recover funding. SECTION 8.15. (a) The State Board of Education shall collaborate with the Friday Institute for Educational Innovation at North Carolina State University (Friday Institute) to develop a plan to modernize the systems used by the Department of Public Instruction, Financial and Business Services Division, to manage and deliver funds and technical support services to local school administrative units and charter schools. This process shall include modernization of the Division’s systems for student information management, financial and payroll information, human resources information, and capital and repairs and renovations planning information. Included in the budget is a “pilot program” to “raise the high school drop out rate from sixteen to eighteen”. Superintendent Atkinson has stated several times in the past she thinks students should be compelled to stay in school until they are 18 years old. It looks like she is getting her wish. This pilot is to be carried out in Hickory Public Schools, the Newton‑Conover City Schools, and the Rutherford County Schools in the 2016‑2017 school year. SECTION 8.21. (b) For the purposes of implementing the pilot program authorized by this section, a local school administrative unit that is participating in the pilot program shall have the authority to provide that, if the principal or the principal’s designee determines that a student’s parent, guardian, or custodian, or a student who is 18 years of age, has not made a good‑faith effort to comply with the compulsory attendance requirements of the pilot program, the principal shall notify the district attorney and, if the student is less than 18 years of age, the director of social services of the county where the student resides. If the principal or the principal’s designee determines that a parent, guardian, or custodian of a student less than 18 years of age has made a good‑faith effort to comply with the law, the principal may file a complaint with the juvenile court counselor pursuant to Chapter 7B of the General Statutes that the student is habitually absent from school without a valid excuse. Upon receiving notification by the principal or the principal’s designee, the director of social services shall determine whether to undertake an investigation under G.S. 7B‑302. The subsets of this pilot program go on to detail that the onus is on students over 16 and their parents to retain exemptions and that local school boards have the authority to determine who may or may not be excused. This entry was posted in EDUCATION, June Atkinson, LL1885, NC DPI, NCGA, The Articles and tagged 2016 Appropriations Act, Budget, NCGA. Bookmark the permalink. 4 Responses to 2016 Budget Sent To Governor McCrory. See The K-12 Highlights. How so? It worked for me.